C-Print | 10" x 8" | 32" x 24" | 50" x 40"
C-Print | 8" x 10" | 24" x 32" | 40" x 50"
C-Print / Diasec | 30"x 40" | 40"x 54" | 48"x 64"| 60"x 80"
30"x 40" | 40"x 54" | 48"x 64" | 60"x80"
40"x 30" | 54"x 40" | 64"x 48"| 80"x 60"
30"x 40" | 41.5"x 54" | 48"x 64" | 60"x 80"
C-Print/Diasec | 48" x 48" | 60" x 60"
Barbara Cole was born in 1953 in Toronto, Canada. 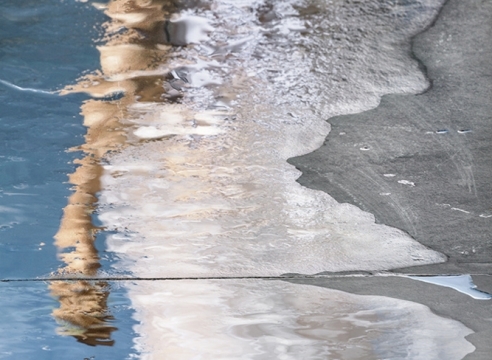 Cole, who has often been referred to as an inventor, uses a raw, hands-on photographic process which strongly follows her belief that the opportunities of photography are virtually endless. Since the early 80’s, she has channeled an appreciation for the camera itself. Her dedication to photographic history is executed by straying from automatic cameras and technique, exploring transformation of figurative qualities with a recipe of mixing the right tools with instinct and a conceptualized environment. 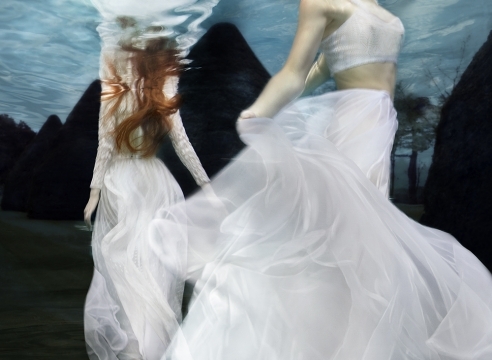 Barbara Cole uses photography to play with notions of time, place and identity. Throughout her many series, Cole often poses the questions how do you paint a picture of timelessness? 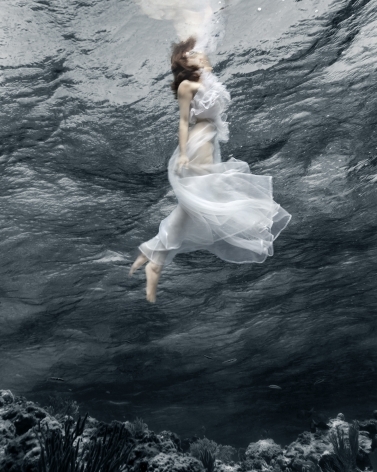 How do you capture the feeling of being weightless in an image? This approach references the past and nods to the future. 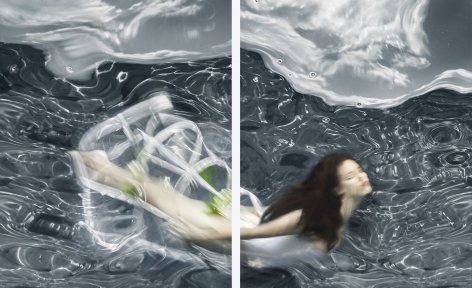 Her ethereal photography takes on a painterly quintessence with figure transformation as a predominant theme in her work. Over the past thirty years, although with traditional photographic tools, Cole’s process and aesthetic has taken on that of a painter. The artist’s work hones in on a powerful narrative, some with outward subjects and others with intense figure transformation that alone tell the story. Cole’s background in fashion and fashion editorial, naturally leads to a process which channels her experience into creating a particular atmosphere using costume and set couture. 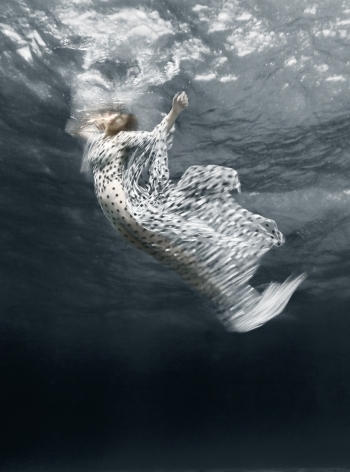 In much of her oeuvre, Cole involves an aquatic environment, vastly differentiating her many series. Second to her underwater studio, her favorite place is the darkroom, where she creates Tintype images using the “Wet Collodion” technique that was in common use more than 150 years ago. The otherworldly beauty is a result from merging the past (tintype technique) and present (digital technology) in two physically separate but overlapping images– a three-dimensional dance of light and shadow. Cole is currently on the advisory board of the Seneca College Photography Department in Toronto. 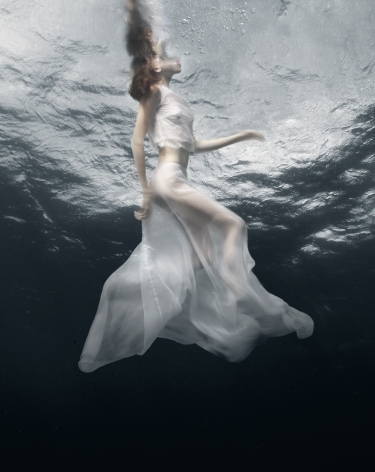 Barbara Cole's artwork is extensively collected by both public and private institutions and has been exhibited worldwide in such venues as the Canadian embassies in Washington, D.C. and Tokyo, Japan. 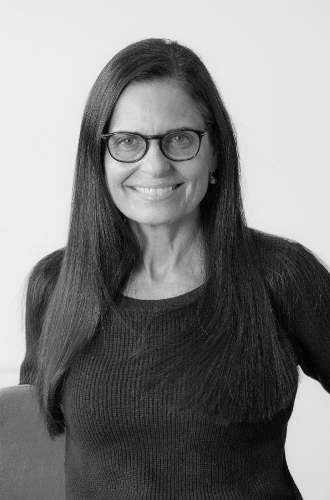 Throughout her career, Cole has worked internationally on commercial projects and large-scale art commissions including installations for the Breast Cancer Centre in Toronto’s Princess Margaret Hospital and for Trump Hollywood, Florida. Cole has won prestigious awards such as the Grand Prix at the Festival International de la Photographie de Mode in Cannes, France. In 2012 the acclaimed documentary series, Snapshot: The Art of Photography II, features an episode devoted exclusively to Cole’s photographic practice. 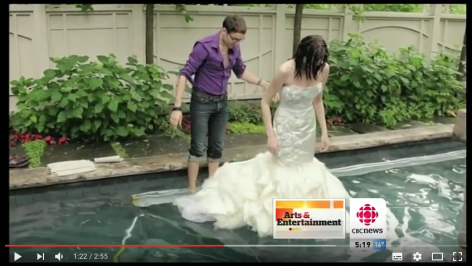 Barbara Cole on CBC NEWS! 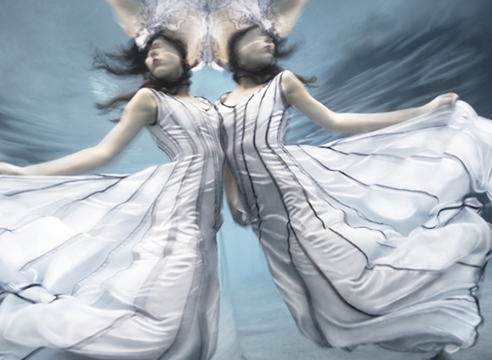 Underwater photography has since grown further into an art of its own. 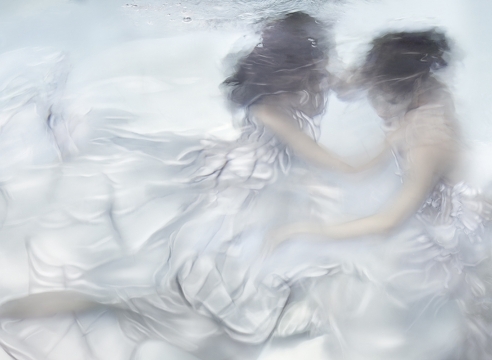 Contemporary photographers Barbara Cole and Christy Lee Rogers have become two of the most prominent artists in the field, ingeniously using water as an artistic tool to transform reality. 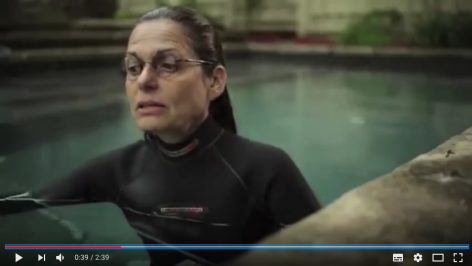 They don't simply drag our on-land surroundings into a pool, in the style of Mozert, but rather take advantage of the submarine environment to create a dream-like alternate dimension. "Figure transformation has been a predominant theme in my work. 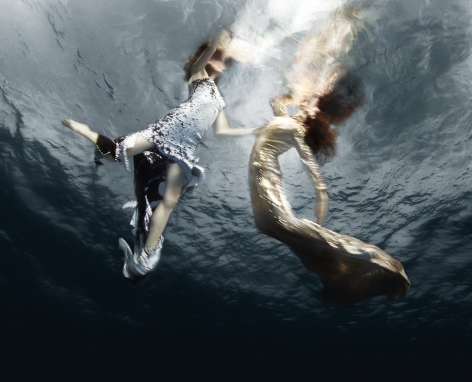 Over the past thirty years, I have been operating as a painter but employing traditional photographic tools," says Barbara Cole, a fine art photographer from Toronto whose whimsical take on underwater photography will certainly make you think twice. 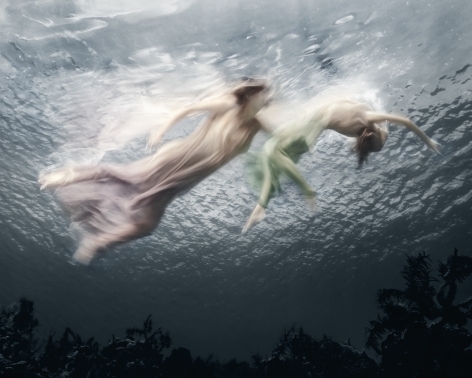 Noted as saying “I became an artist simply by taking pictures,” Barbara Cole’s successful career in photography is based on trial and error and a love for water. With an interesting backstory that includes failing to finish high school, working as a model and taking on the role of fashion editor at a local newspaper (at the age of 18), Cole established a beautiful body of work and a distinct style with no formal training. Accepting an opportunity to become a member of the fashion industry, rather than exploring the medium, she allowed her time on the clock to guide the way. Although it took her many years for to consider herself an artist, Cole helped to transform the community. 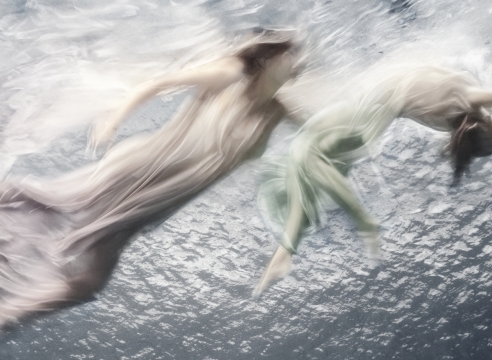 Barbara Cole dives into her four-foot swimming pool, and it turns into the ethereal world full of beautiful figures dancing in the light. A ballerina’s pearly tutu, like a white rose bud, furls and unfurls. Scarlet lips — red swordtails — blaze among blurry water patterns. 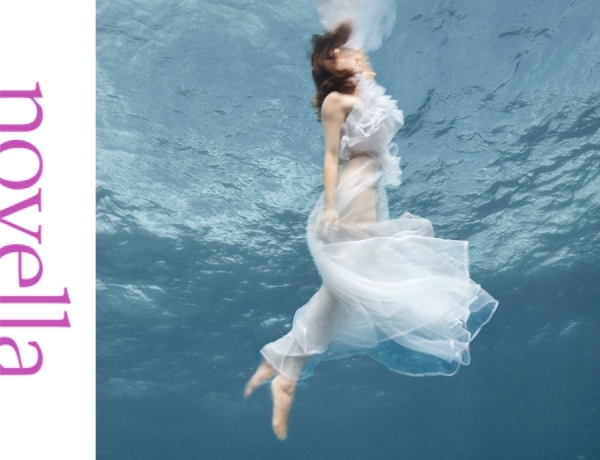 Dancing layers of mermaid-length hair and diaphanous fabric make water and light tremble and break proportions. Figures become unrecognizable. 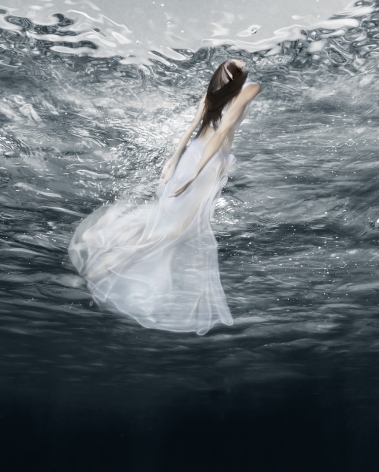 In return for their identity, water renders them lighter than air, making them fascinating in their peculiarity. 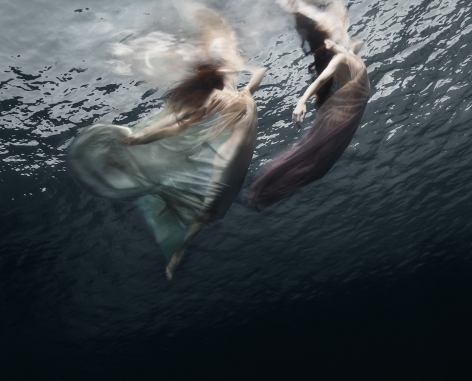 The series "Falling Through Time" by Barbara Cole got an honorable mention award at the LICC 2017 (London International Creative Competiton). Congratulations! The latest series "Figure Painting" by Toronto based artist Baraba Cole received an Honorable Mention award at the Tokyo Internation Foto Awards 2017. Congratulations! 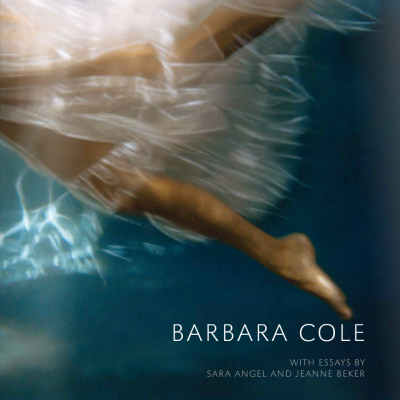 We've just received Barbara Cole's new book! A multidisciplinary approach to the arts is hardly innovative. People have been doing that for decades now. 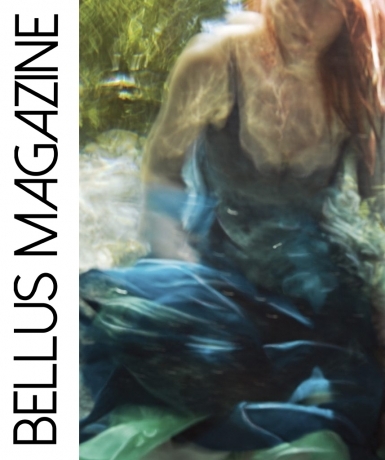 Even so, Barbara Cole’s ability to use a definitively precise and finely calibrated means of visual documentation in a manner more reminiscent of a far less structured form of aesthetic representation is both intriguing and delivers impressive results. Sometimes a person comes along who so completely floors your initial perceptions and assumptions of them in such surprising and profound ways, you feel gobsmacked for days after the encounter. Meeting Barbara Cole was one of those rare experiences. To call forth the phrase “still waters runs deep” would, here, be an understatement. Cole and her work run deeper than deep. And the deepseated experiences that fuel her magnetic and ethereal photographic work are beyond illuminative of so many of the formative experiences that foster creative expression. In fact, they challenge any and all to face their fears and to transmute all vulnerability into the overwhelming power contained within it. ARTICLE IN FRENCH En grec ancien, le mot "photographie" signifie "peindre avec la lumière" et l’artiste canadienne Barbara Cole l’a bien compris. Ses photographies ressemblent à des peintures à l’huile. 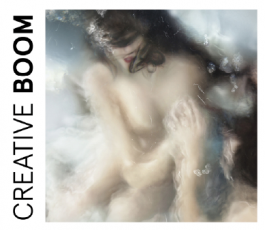 Jouant avec cette ambiguïté depuis plus de 30 ans, Barbara Cole se considère comme "une peintre qui utilise des outils photographiques traditionnels". There’s a stylistic dance, so to speak, in each photograph, complete with tangible aspects of fashion (i.e. elegant gowns, astonishing settings). 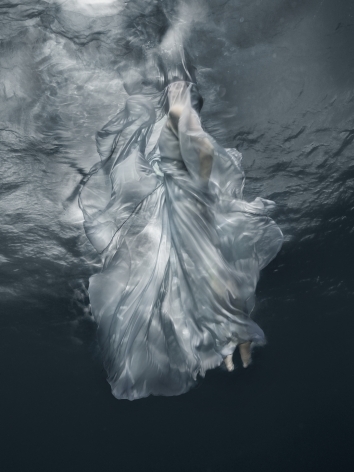 Cole uses water as a tool and a lens, capturing elegant and powerful underwater images, each with their own narrative and aesthetic.